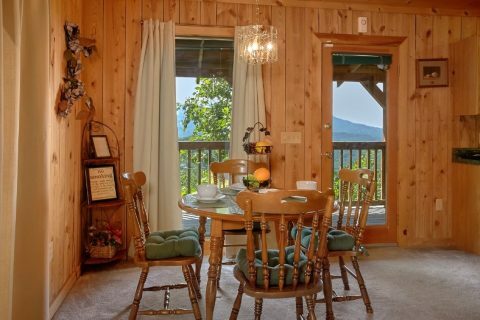 Take your sweetheart on a memorable mountain getaway in the Great Smoky Mountains. 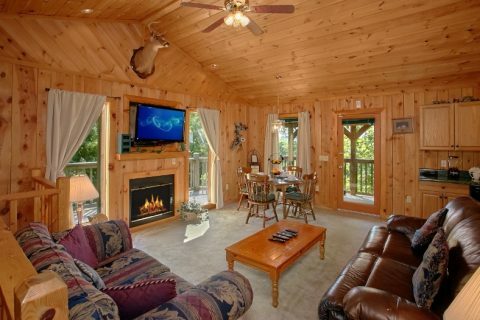 "Valley View" gives guests a spectacular honeymoon cabin with views that boasts a location near all the top attractions. 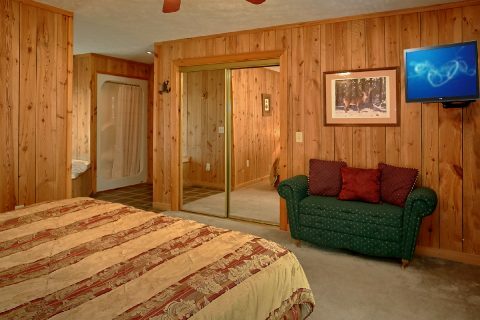 Plus, this cozy cabin for couples comes with cabin amenities such as a hot tub, jacuzzi tub, and more, making your vacation truly special. 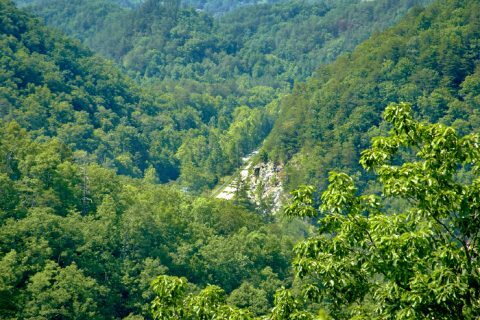 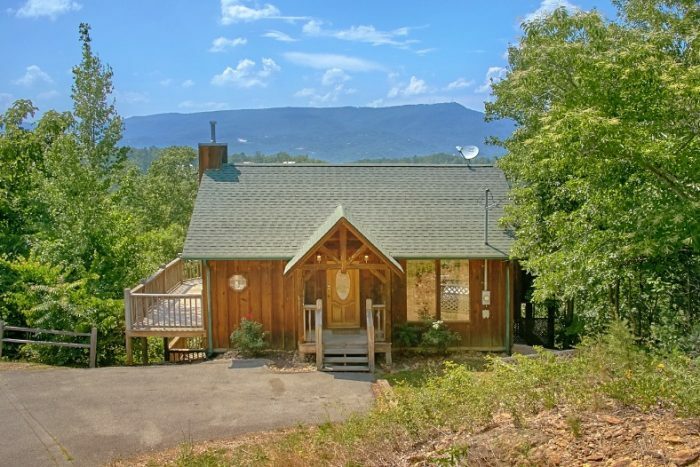 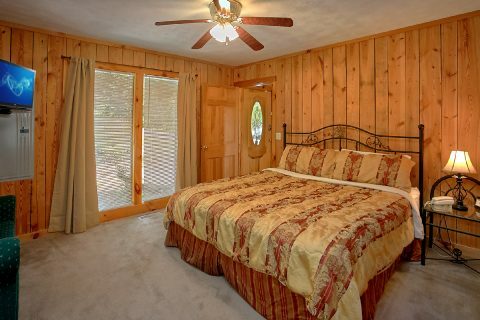 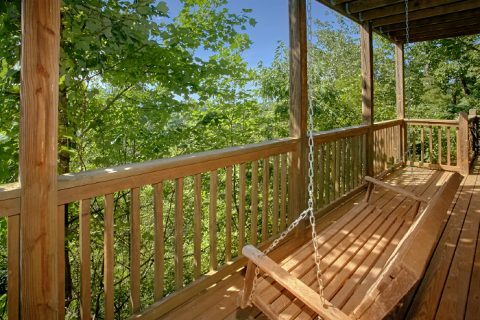 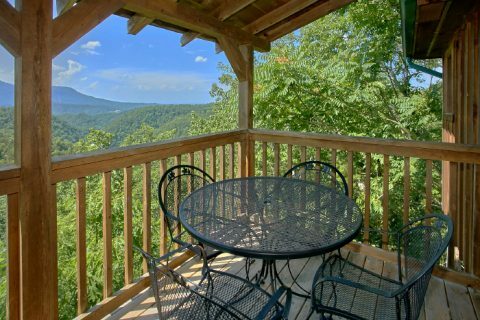 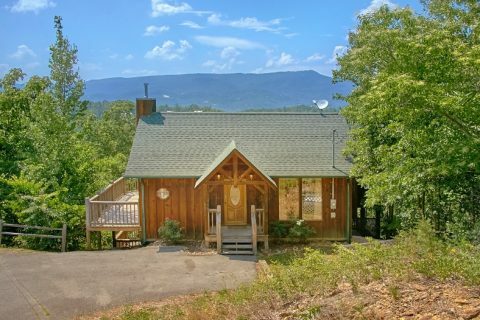 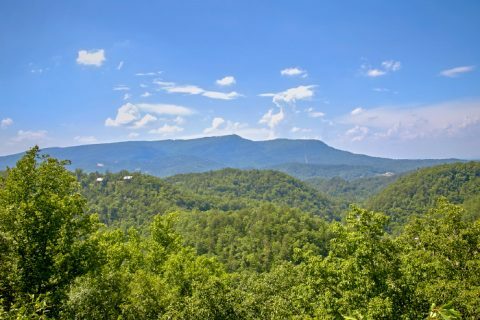 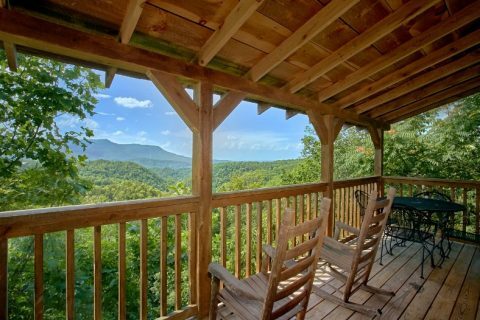 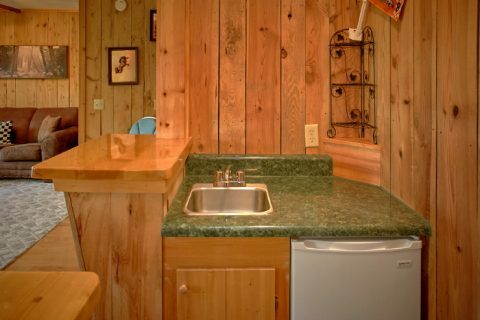 This Pigeon Forge honeymoon cabin gives you a "Valley View" you won't soon forget as well as a cabin interior that gives you everything you need for a comfortable cabin stay. 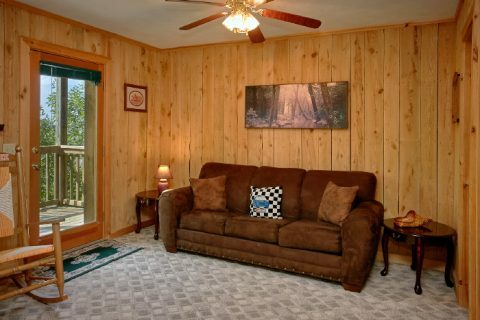 Snuggle close on the couch in front of the seasonal gas fireplace and enjoy a movie or two cups of hot cocoa. 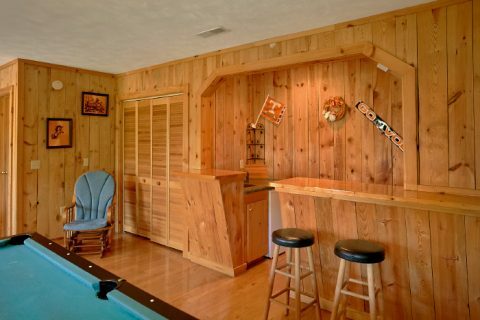 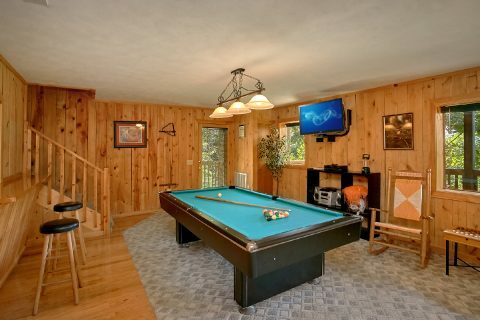 Enjoy a few rounds of pool in the game room with bar and television for a game day party. 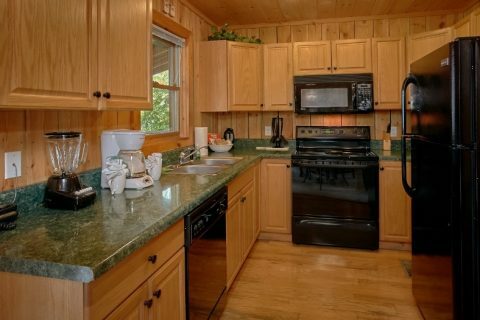 Cook your sweetie a delicious meal in the kitchen or outside on the charcoal grill to enjoy around the dining table or out on the deck. 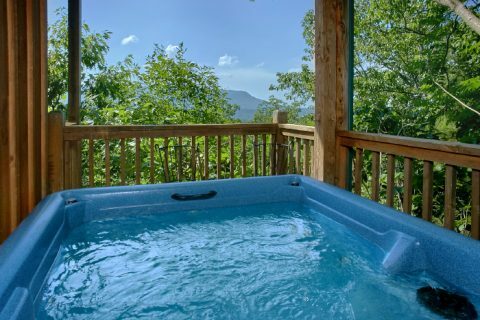 Outside, you can relax in your hot tub and let your cares and worries melt away as you gaze out onto fantastic views. 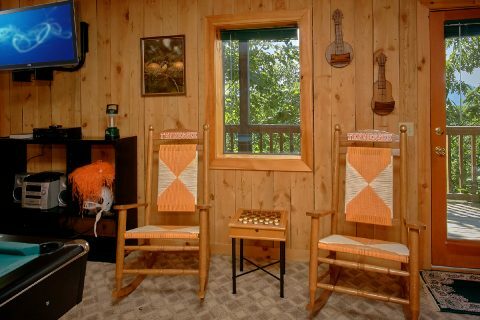 With mini-golf, go-karts, dinner shows, shopping, restaurants, there's plenty to do near your honeymoon cabin on the Pigeon Forge Parkway and in Gatlinburg. 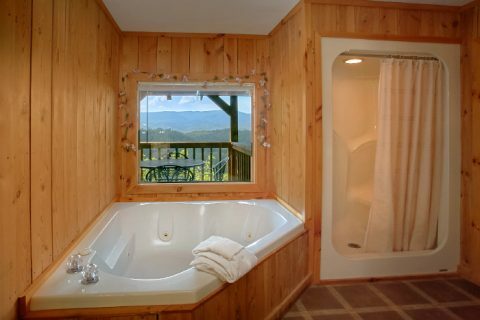 When you get back from another exciting day of fun and adventure in the Smokies, relax in your comfortable king suite with jacuzzi tub and rest up for another day of excitement in the Smokies. 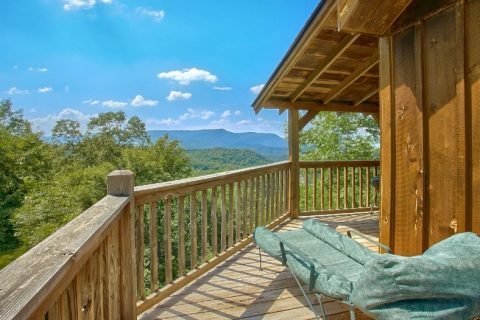 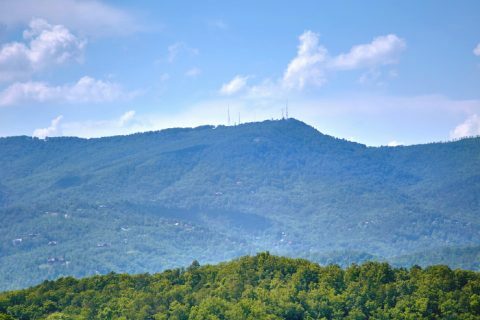 Book your Pigeon Forge honeymoon cabin with views with Cabins USA today and start planning a honeymoon or romantic getaway for two to remember!